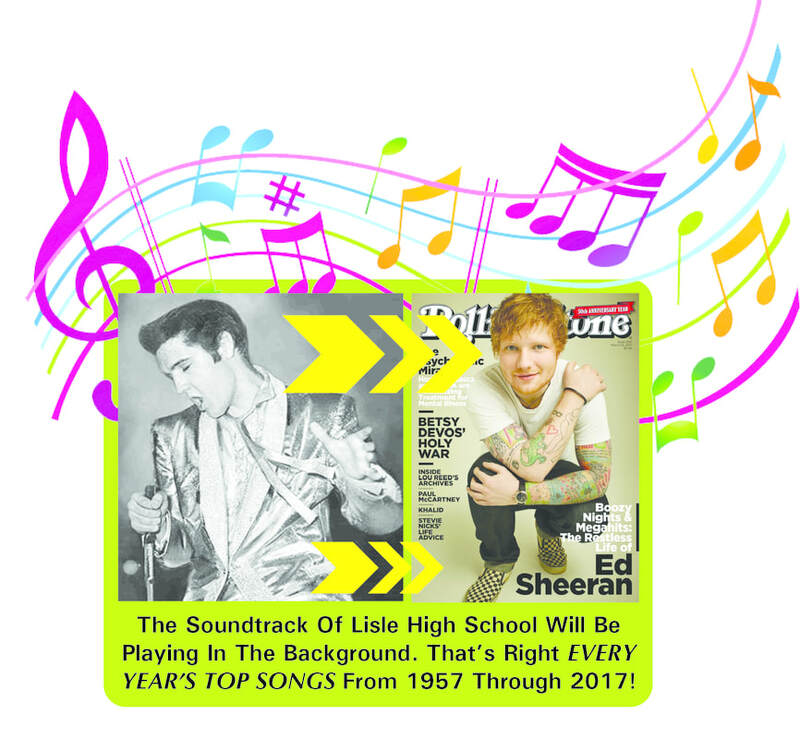 Click to listen to the 6 hour soundtrack of Lisle High School, which played in the background during the reunion. It plays on Spotify, don't have Spotify? Click, it is FREE & EASY to join. At 4A Song, we believe that vinyl records are one of the greatest inventions ever made. They present music fans with the purest form of sound that any format of recorded music has offered. Check out the top 600 songs over the last 60 years. Six hours of these songs will be playing in random order throughout Saturday evening at the All Years Reunion "Rocking the Foundation." These are the top 10 Billboard Hits for the year.